The answer to this is yes… And no. Learning any language is a difficult task, Spanish is no exception. The good news is, that it is one of the easier languages for a native English speaker to learn. There are many easy ways that you can learn to speak Spanish. If you’re planning a trip, there are translation dictionaries where you can look up a word in English and it will show you what it is in Spanish. For example, if you look up the word “hello” it would tell you “Hola” which is the Spanish version of that word. There are also picture dictionaries. These are nice because they can teach you to associate a word with its matching picture. One drawback is they often lack a phonetic spelling of the words. There are apps available for your phone and software for your computer. Both options make picking up words and phrases during your spare moments at work or at home easy, and often fun. It is relatively easy to pronounce most Spanish words. The words are usually said the way they are spelled, making them easier to pick up. Another great thing about learning Spanish is that it is easy to guess the meanings of a lot of the words just by looking at them. Words like “Papá” (Dad), “Teléfono” (Telephone), “Café” (Coffee) and “El Hospital” (Hospital) are pretty easy to guess and who doesn’t like a good guessing game? Spanish and English were both born from Latin roots. Spanish has much simpler grammar and sentence structure than the English language. Spanish is one of the world’s most popular and widely used languages. This means that there are a ton of resources available if you want to learn to be bilingual. If you live in a big city there’s also meetups and language exchange programs that benefit both you and your Spanish learning partner. They’ll help you practice your Spanish and help you perfect your accent. In exchange, you will be helping them to learn English, not have an accent and practice their words on you. There are many different languages in the world. Some dialects are very complicated to learn. The written alphabet is puzzling and doesn’t offer any clues to even begin to guess at the meaning of the word. Other languages have very difficult sentence structure and the grammar is something you must learn to grasp. Sometimes even the accent is difficult to wrap your tongue around! Saying your newly learned words wrong can cause embarrassment at best and downright uncomfortable misunderstandings at worst. Especially if you find the word you mispronounced now means something entirely different than what you were trying to say in the first place. Spanish is none of the above. It has almost unlimited resources to help you learn the language. 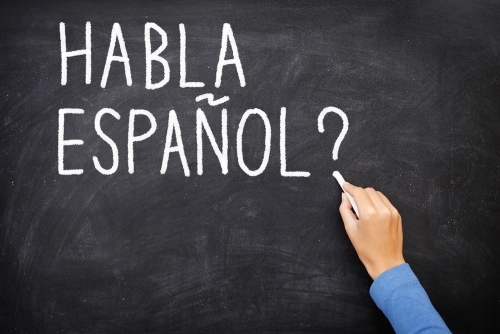 Most people who are learning the Spanish language boast that they know at least a few words after just one session! The accent is also easy to pick up making it even more entertaining to practice. I would say that Spanish is most definitely an easy (and fun) language to learn.